As activists, we envision a world that looks different than the one we have today. We commit to do the hard and often slow work of demanding policy changes that protect people living with or at risk for developing breast cancer. By including Breast Cancer Action (BCAction) in your estate plans, you leave a personal legacy to continue taking action to end the epidemic once and for all. Please know that anyone can make a planned gift, despite age or socioeconomic status. Please contact us today to discuss how you can include BCAction in your estate plans. And, as always, thank you so much for taking action by supporting BCAction. 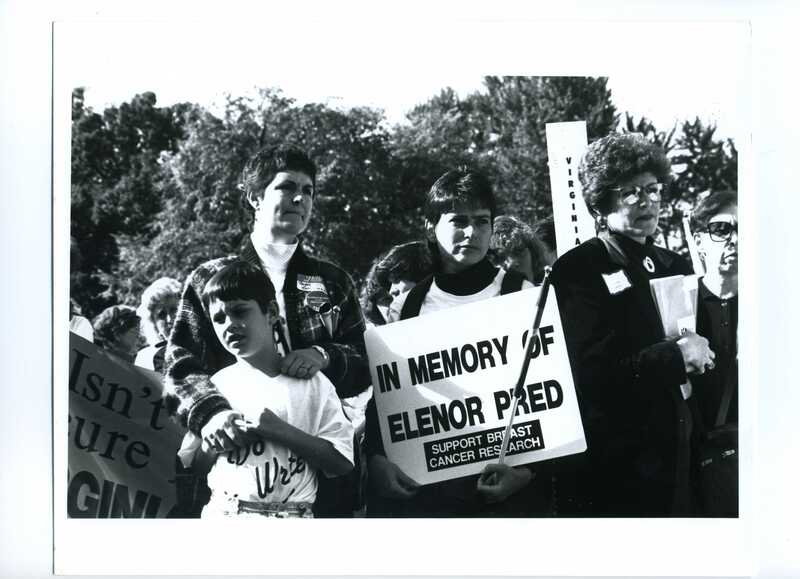 Elenore Pred is BCAction’s founding mother. In the 1980s she was diagnosed with breast cancer and had been seeking information about its causes and treatment. She consistently encountered an unresponsive group of government agencies and other organizations that provided inadequate, superficial information, not hard data. She grew angry and shared that anger with other women in her breast cancer support group. In the summer of 1990, they took action by forming Breast Cancer Action. Our visionary founders know breast cancer was more than a woman’s private trauma. Action needed to be taken in order for it to be addressed as a national public health emergency. Since Elenore’s death in October 1991, BCA has continued and expanded her work through cutting-edge grassroots and media advocacy. Breast Cancer Action’s Tax ID# is 94-3138992.